Infusing liquids with other flavorful ingredients is a great technique to enhance flavors, create unique flavor profiles, build up the complexity of a dish or drink, change texture and surprise your diners. You can infuse flavors into alcohol, oils, water, cream using flavorful ingredients like herbs, spices, seeds, fruits and others. There are several techniques to infuse a liquid with another ingredient but all of them simply consist of placing the solid ingredient in the liquid and leaving it there until the aroma of the ingredient gets absorbed by the liquid. The techniques vary in that the infusion is done cold, hot, under pressure, in a vacuum or at low temperature. 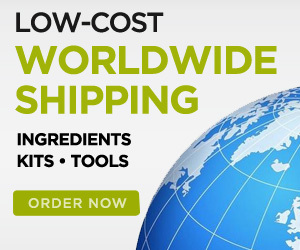 The amount of time required to infuse the liquid depends on the technique, the type of liquid and solid ingredient used. One of the most recent techniques used for infusion is the rapid infusion with the ISI Whip, created by Dave Arnold, Director of Culinary Technology of The French Culinary Institute. This technique has many advantages over the other techniques in most applications and it is being widely used in mixology. To be able to compare the infusion techniques, I’ve included a brief description of the traditional techniques and other new techniques applied by molecular gastronomy chefs. The traditional cold infusion technique is mostly used for alcohol, though it works with other liquids too. Alcohol is a great solvent and will extract soluble essences from almost any solid ingredient you put in it and will absorb all the aromas. The problem is that cold infusions can take up to several weeks or months. This technique is widely used to make limoncello by infusing alcohol with lemon peel. Hot infusion works well with oil, dairy (such as milk or cream) and sugar syrup. Because molecules move faster at higher temperatures, hot infusions can be accomplished in minutes. The main problem of this technique is that the high temperature may modify or destroy some of the delicate fresh aroma compounds of the solid ingredient. This technique does not work with alcohol because as it is quite volatile, heating in an open container will cause the alcohol to evaporate and the resulting liquid will have no kick. A new technique recently applied by some chefs and bartenders is the rapid infusion with the ISI Whip. This technique is not only simple, inexpensive and fast but it also captures the delicate fresh aroma compounds of the solid ingredient as it doesn’t require heat. Just put the solid flavorful ingredient in the ISI Whip, fill with the liquid to be infused, charge it with N2O, swirl, wait for a minute or so, vent the gas out of the whipper and strain the infused liquid. 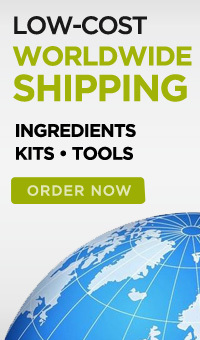 As with the other infusion methods, the time of infusion depends on the ingredients and the desired results. Waiting for one minute is a good place to start but try with more or less time as needed until you obtain the desired results. Cold ingredients will result in a weaker infusion. Use warm or room temperature foods and liquids for the most flavorful results. A rapid release of gas forces the gas to penetrate more quickly. 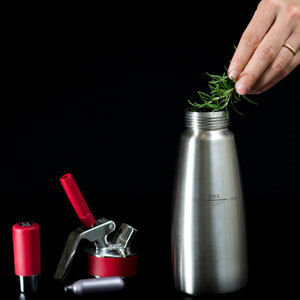 Be sure to capture any liquid that escapes by cupping the nozzle while holding the whipper in the upright position. This technique is very effective but it requires an expensive vacuum chamber and sometimes can take a little longer than the rapid infusion technique with the ISI Whip. The infusion is done at room temperature so it has all the benefits of the rapid infusion technique with the ISI Whip except for the low equipment cost. This technique speeds up the infusion process of the traditional cold infusion technique by applying precisely controlled heat preserving some of the delicate fresh aromas that could be ruined with the hot technique. This technique is also ideal for alcohol because the infusion is done in a sealed pouch preventing the alcohol from escaping. Even though this technique is faster than the cold technique and may obtain better results than the hot technique in some applications, it can still take 30 min to a few hours which is much longer than the rapid infusion technique with the ISI Whip. Also, putting liquids in a pouch and carefully evacuating the air using the Archimede’s Principle is not as convenient as pouring the liquid in the ISI Whip bottle with wide mouth. However, the gentle heat of this technique may be better to extract the essential oils in some ingredients. The other drawback of this technique is that it requires a sous vide machine to precisely control the temperature. 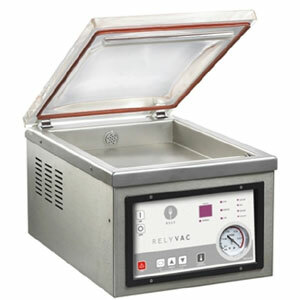 But sous vide is probably the best technique used by molecular gastronomy chefs today so there are many other reasons why having a sous vide machine makes total sense. 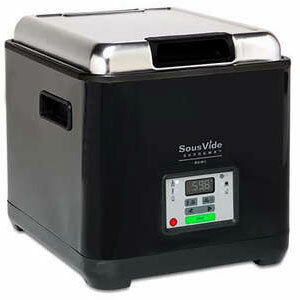 Sous vide machines are now available for home cooks for as little as $300 (ok, it is not cheap but compared to the commercial sous vide circulators over $800 it is a better deal…). I wouldn’t call this an infusion technique but it has a very similar application and it could be much more effective than the techniques mentioned above in some situations. With this device, the essential oils of the solid ingredient are extracted by boiling in a vacuum at low temperature without damaging the fresh aroma compounds. The essential oils can then be mixed with other ingredients to be used in a dish without altering the texture. The problem? 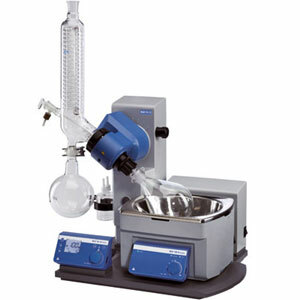 A rotary evaporator costs over $6000! TIP 1: blanch herbs such as basil in boiling water for a second or two and pat dry with paper towels before infusing to set the color and obtain an infused liquid without altering the original color. TIP 2: do not crush herbs before they are infused if you want to obtain a clear liquid, especially if you are going to keep the infusion for some time as it may turn brown.